Looking for a Used LR2 in your area? 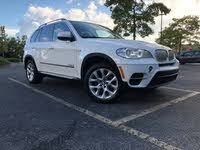 CarGurus has 361 nationwide LR2 listings starting at $3,699. For the first time since its 2008 debut, Land Rover's slowest-selling specialist boldly goes into 2013 with a refreshed mainstream look. Or at least with a more mainstream look than the edgy Land Rover Range Rover Evoque that shares the LR2's new EcoBoost turbo engine. Land Rover also bestowed the 2013 LR2 with more refined interior materials and style, in the end perhaps addressing every last driver and professional reviewer concern. 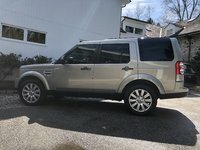 Although nobody has their hands on one yet to tell whether Land Rover delivered on those promises, brand fans can rest assured the LR2 will likely stick to its roots to the bitter end should fully off-road capable compact crossovers without many road manners ever go completely out of style. 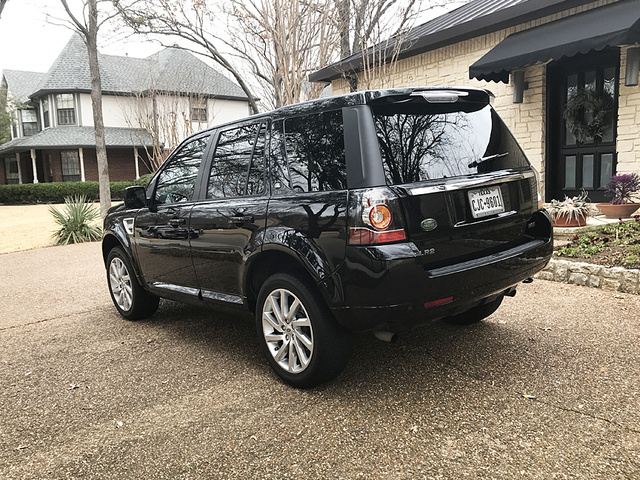 While the Evoque's looks (shared with the redesigned 2013 Range Rover flagship) can be polarizing, the LR2's ride quality on pavement is a likewise acquired taste, being a more thoroughbred SUV built over a car, but both pony up 10 more hp and almost 20 additional lb-ft of torque with a 2-liter Ford 4-cylinder over the LR2's outgoing V6. Given a few other changes and additions sprinkled throughout the cabin, the 2013 LR2 is otherwise precisely as capable with the very same 29-degree angle of approach, 8.3-inch ground clearance and 3,500-pound towing capacity as previous years and the $5,000-more-expensive entry-level Evoque Pure. That said, the Evoque's polarizing style is, well, polarizing—but that's the only significant difference between the Evoque and the LR2 unless you're particular about little things like interior dimensions, on-road handling and a roughly 15% higher price. As for comparisons to the outgoing LR2, complaints amount to a sluggish and inefficient engine, boring interior design with relatively inexpensive materials and a slightly subpar cargo hold for your typical SUV. All specs but cargo capacity are definitely different for 2013, with a 240-hp and 250-lb-ft/torque turbocharged edition of an engine that promises as much as 40 mpg and an 8.7-second sprint to 60 mph in a different application and tuning in Ford's Focus. Updated dash controls, interior materials and design for the cabin covers the rest of what is known to address driver concerns. Whether the updated liftgate includes changes to the LR2's 26.7-cubic-foot trunk (without folding down the rear seats for all 59 cubes) remains to be seen, but it's worth noting here that the LR2 is a compact crossover, with an emphasis on the compact. You would get only half that in an equally compact sedan, and basically only Honda's Fit could challenge the LR2's capacity, but the LR2 would leave that mystery sedan and famous Fit to look on from the road as its superior Terrain Response system and ground clearance take its riders into the sunset to live happily ever after. So long as they don't mind the hallmarks of an off-road-tuned machine, like body roll, lifeless steering and steep nosedives when pushing extra hard on the brakes, the LR2 provides the superb off-road capability brand fans have come to expect from Land Rover. The lone Base trim will likely be controlled by the expected 6-speed automatic, and aside from the updated Meridian sound system, standard feature content transfers almost directly from the outgoing LR2 to include things like 18-inch alloy wheels, a panoramic sunroof, rain-sensing wipers, rear parking sensors (though you won't likely need them with its excellent outward visibility), leather upholstery, powered front seats, dual-zone automatic climate control, keyless ignition/entry, auto-dimming rearview and 9 speakers for the sound system, which includes a CD player and Aux jack. The HSE and HSE LUX option packages also carry over, but the LUX upgrade adds woodgrain accents for 2013. 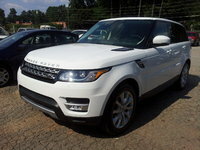 What's your take on the 2013 Land Rover LR2? Have you driven a 2013 Land Rover LR2? I live in NC. Would there be a charge for an out-of- state vehicle?? Could it be delivered to NC?? What's the charge? ?